A visit to the Faroe Islands means bracing yourself for some extreme gastronomic experiences. Not just delicious and distinctive, food in the Faroes opens a window into the culture of these islands, both current and of days gone by. Its cuisine showcases how the islanders once lived, foraging, hunting and gathering from land and sea and preserving and fermenting for the cold winter months. A number of the island’s restaurants incorporate age-old culinary traditions with local ingredients and take diners on a culinary journey of tastes and times with menus tailored to the catch and the seasons. The result is a range of dishes unique to this dramatically beautiful and windswept place located between Iceland, Norway and Scotland in the middle of the bracing Atlantic Ocean. Here, we chart five of the finest places to get acquainted with this enthralling culinary destination. Part of a cluster of turf-roofed restaurants that also includes Ræst and Barbara Fish House in the historic heart of Tórshavn, the Faroe Islands’ capital, Áarstova restaurant is housed in a building dating from 1640. It was the first hotel in the town, and in 1836 was granted the first licence to serve alcohol in the country. Much later it would become the first restaurant to be allowed to serve Faroese lamb, the ingredient that forms the base of the menu here. The best time to visit Áarstova is in autumn when the menu reflects the seasonal slaughter of sheep. Yet in a place where lamb is air-dried and kept for months, lamb rules the roost year round—and delicious it is in all its stages of ageing. Lamb tartare is served with micro greens and delicious fresh prawns, an unusual yet beguiling combination. A poached egg in lamb broth is accompanied by pulled lamb—the umami of the broth complementing the soft yolk of the egg that melts into the tender meat. A main course of slow-cooked lamb shoulder sees thr meat fall from the bone at the lightest touch. If you’re already lambed out pre-entrée, a fresh fish option is also available. The name of the restaurant means ‘fermented’, and the menu delivers exactly what the sign outside the door says. However, the fermentation on show here is unlike that you may have experience from a familiar kimchi or sauerkraut—this is fermented food taken to an extreme, the result of long, hard winters endured by a secluded island nation. Today, meat and fish are less commonly fermented for long periods of time, but in the Faroes the salty sea winds provide the perfect conditions for natural dry-ageing of both, a process that takes place in small huts scattered across the islands. Inside Ræst there is a strong smell of lamb in the air. Air-dried cod is served with radish and local seaweed and egg yolk accompanies dry aged ocean perch. As well as the pungent aromas, there are uncomfortable moments here—pilot whale comes with cottage cheese and mashed potatoes. The Faroese have been lambasted for their cruel whaling habits—annually they hunt entire pods of pilot whales, driving them to shore where they are violently slaughtered. The Faroese argue that it is an age-old tradition, but we avoid it anyway. The dry-aged lamb, perhaps what the islands are best known for, is a highlight, here accompanied by rutabaga and a fermented lamb broth. Harsh winds beat down on the Faroe Islands, so the few vegetables that grow here fare well, with radish, seaweed, potatoes and rutabaga found on menus. Rhubarb also grows well year round and completes many a meal. Beer is the suggested pairing at Ræst; it complements the umami of the food and the list includes selections from local Faroese brewery Okkara. From an archipelago comprised of 18 islands, you would expect plenty of seafood on the menus in the Faroe Islands—and at Barbara Fish House the fruits of the sea are the focus, given a Spanish twist. Consider the catch of the day, though highlights without a doubt include the horse mussels on toast—their sizeable shells have become salt cellars on every table, while the juicy mussel inside is impressive for its meatiness. The signature fish soup is a must-order, flush with salmon, prawns, and scallops and a rich and flavorful broth made with cod head. Keeping with the Spanish theme there is ceviche and bacalao, while monkfish and ocean perch are also served up. Faroese salmon—rarer, leaner and richer than the more common Norwegian salmon—should also have a place on diners’ tables. For a place with so much fresh seafood, it seems apt that there should be a sushi restaurant in the Faroes, and Etika ticks that box. Located in Tórshavn, the modern, glass-fronted restaurant boasts a status as the Faroe Islands’ only sushi joint. The menu features traditional sushi rolls and sashimi selections comprised of freshly-caught local ingredients. Salmon features widely, particularly fitting as the fish was originally introduced to the Japanese by Norway in the 1980s before it became a staple on the nation’s sushi menus. It’s not often that the Faroe Islands make it big in international news, but in 2017 there were several: its Google Sheep View, which used sheep to map its islands; the plight of Faroese men wanting for wives; and the annual slaughter of the pilot whales. For food fans however, perhaps the biggest story was when one of the region’s restaurants received a Michelin star, the island’s first. Almost all produce served at KOKS, save for a handful of fruits and vegetables, has been sourced locally, much of it that day, and the dish introductions by knowledgeable staff tell their tales. Baby fulmar birds, for example, which have taken first flight only to have their wings fail them and to fall into the sea have been rescued from drowning…to instead face another fate as they are served up for supper. Their meat is young and tender and their duck-like skin lends it a rich saltiness. There are souffléd limpets, the juiciest langoustines, the freshest sea urchin and lamb in various guises that has been fermented for three months, six months and a year. 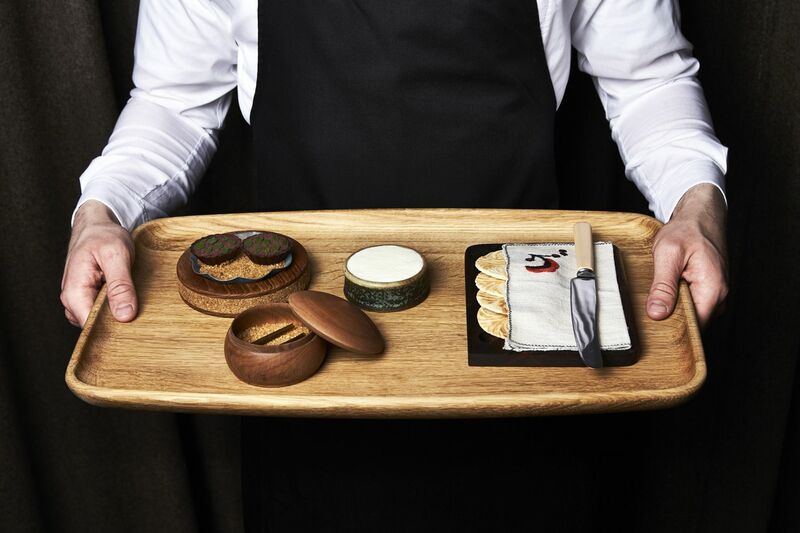 Each outstanding dish can be expertly paired with impressive alcoholic or non-alcoholic beverages, rounding out an unforgettable dining experience totally unique to the stunning location—an old farmhouse in a remote valley by Leynavatn, just 20-minutes from Tórshavn. This article originally appeared on hongkongtatlerdining.com.